Today’s changing technological landscape has paved the way for the Internet of Things. If you’re the type to keep up with the latest in tech news, chances are you’ve seen this term thrown around with reckless abandon. Just what is the Internet of Things (IoT)? It’s a lot simpler than you may realize — in short, the IoT refers to everyday objects you use that are connected to the internet. There are countless examples of these, but the ones you may be most familiar with include thermostats and coffee makers that are connected to your smartphone. Basically, any “dumb” item can be included in the IoT, so long as there is an exchange of data between the item and a control (usually a smartphone) that is mediated by the cloud. The IoT can be applied to many facets of industry and manufacturing, speeding up production; less seriously, casual users may be seeing smart refrigerators that can tell when you need to pick up groceries, and driverless vehicles that can memorize your typical commute. 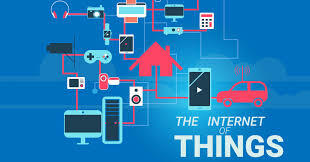 However, these applications have generated controversy, for good reason; while some may see the IoT’s ability to gather and consolidate data from a large amount of sources revolutionary, others find the presence of these networks intrusive.